Brown is not alone in trying to reverse the government’s ever-increasing pension budget deficit. Individual counties in the state are taking action, too. Marin County passed a measure preventing state employees from claiming unused personal and sick leave and vacation time – which helps spike pension costs A court ruled in 2016 that Marin County’s action was lawful. However, the state Supreme Court plans to review that decision. The legal issue in dispute is whether a state can adjust its pension benefits based on fluctuating economic conditions. The unions say those commitments are sacrosanct – in fact, they claim it is illegal under the so-called “California rule” for them to be reduced. Thankfully, many courts are beginning to find otherwise. Another possible remedy for localities is to raise property taxes – not so easy in a state that led the property tax revolt. However, some courts are beginning to order localities to raise property taxes just to meet their pension payments. That means taxpayers may be forced to pay for the sweetheart deals made by profligate Democratic administrations for many decades to come. How do California voters feel? Divided, it seems. Citizens groups have pushed every couple of years for a state ballot measure to remedy matters, but they rarely gather the number of signatures required. The last time, in 2015, supporters withdrew a proposed measure when they became convinced that it would lose. They plan to try again next year. Many people in a liberal state like California are reluctant to support a measure that targets trade unions and working people. 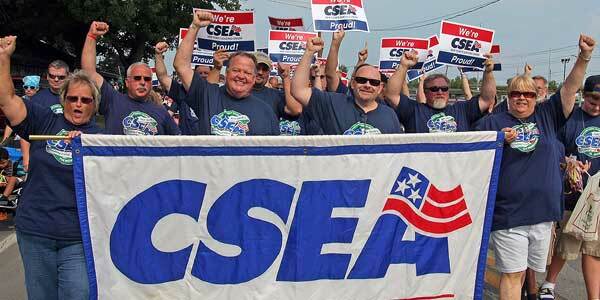 But unions like CSEA are not zealously promoting the interests of working people as a whole – just their own narrow membership. Does that make public sector workers the “new welfare queens,” as some conservatives charge? Not exactly, but privileged access to government coffers can cause even the humblest among us to succumb to selfishness and greed. Right now, California’s pension funding crisis is only the most chronic and visible. In fact, some 26 states now have chronically “underfunded” pension plans, with only 15 making their annual pay-outs, plus debt repayments. It remains to be seen who, if anyone, can muster the political will to resolve this crisis fairly. Time – and money — are running out.